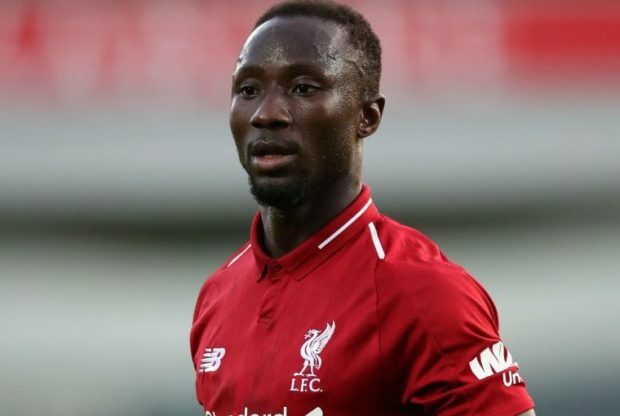 Liverpool have been dealt a fresh injury concern after Naby Keita limped out of Guinea’s African Cup of Nations qualifier in Rwanda on Tuesday afternoon, according to the Telegraph. The newspaper says the midfielder was forced off holding his thigh in the first half and – unbelievably – the £53m Liverpool star had to be carried from the field by a team mate as there were no stretchers available at the match for injured players. There are no indications as to how serious the injury is after Keita was replaced by Seydouba Soumah during the 1-1 draw but he’s now expected to head back to Merseyside to be further assessed ahead of Liverpool’s Premier League clash with Huddersfield Town this weekend. It remains to be seen if Keita will make the trip to the John Smith’s Stadium on Saturday evening but Liverpool’s medical team are in for a busy few days as the midfielder is the fourth player to be returning from international duty with an injury. Mohamed Salah was sent back to Liverpool early after picking up a muscle problem during Egypt’s African Cup of Nations win over Swaziland last week and it remains to be seen whether the attacker will be fit to face Huddersfield. Virgil van Dijk was also sent back to Merseyside prematurely due to an existing rib injury that’s hampered him in recent weeks. The centre-back will miss Holland’s friendly with Belgium this evening but Liverpool hope he’ll be able to feature for them at the weekend. The injury problems are mounting for Klopp as Liverpool prepare for a busy few weeks as James Milner is another concern as he looks to overcome a hamstring injury but Adam Lallana is pushing for a place in the squad after recovering from a groin problem.